Access the best in Christian radio, KFUO Worldwide, and the best classical music, CLASSIC99.com, wherever you are. KFUO (AM 850, Clayton, MO) is the longest continually operating Christian AM radio station in the United States. CLASSIC99.com continues its broadcast heritage of fine classical music via streaming Internet radio. 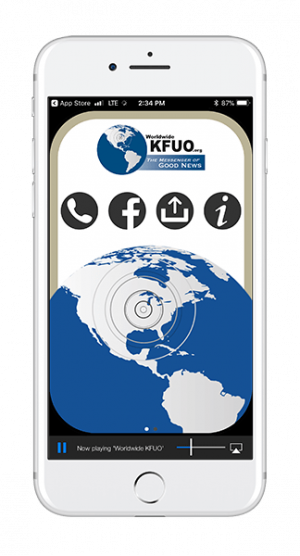 An outreach of KFUO Radio, CLASSIC99.com’s goal is to preserve the richness of classical music and the arts by offering its programming (originating from the historic studios in St. Louis, MO) to audiences around the world.